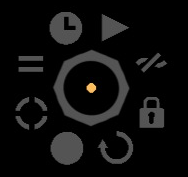 Connect Parat+ as a Network MIDI device in Audio MIDI Setup on your Mac or in Windows. The Faders of Parat+ are by default sending MIDI control data with the MIDI control number of the fader and MIDI channel 1. E.g. the first fader (/fader/0) will be controller no 0, the second (/fader/1) will be controller no 1, etc. Customisation of the MIDI settings is possible in the Edit Fader Detail view. Double tab on the Option Wheel below the fader, scroll to the bottom and change the settings manually. Use the gesture recorder to record your fader movement. Choose between looped and one-shot playback. 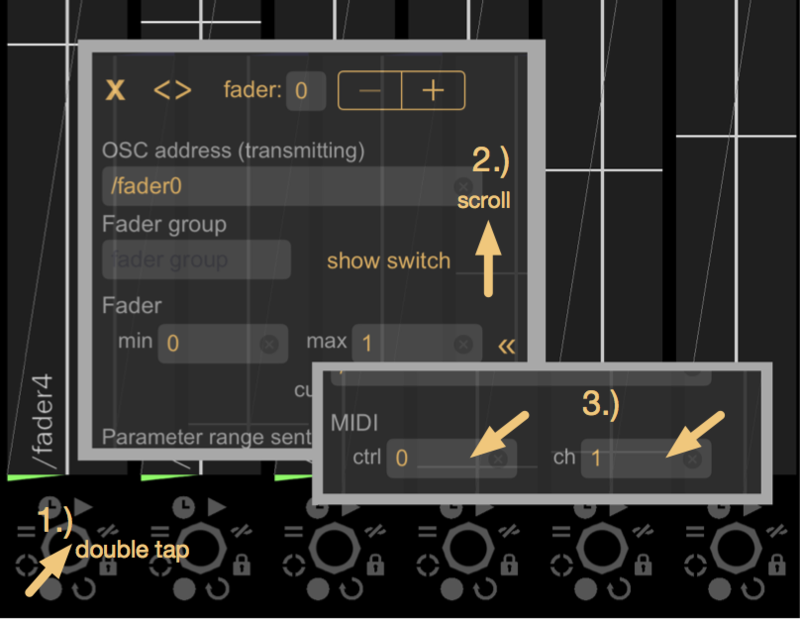 Activate the MIDI solo (OSC mute) function to solo the MIDI transmission of a fader to help using the MIDI learn function available in various MIDI enabled applications to create the parameter mappings. (E.g. MIDI mapping in Ableton Live).